It’s awfully easy to lurch in to a post-Christmas and new year slump but here at dealchecker, we’ve found just the thing to perk you up: winter sun. To fill up on your dose of vitamin D, head to one of these sunny isles where the weather is balmy and little more than a light cardigan is needed. Now, doesn’t that sound dreamy? 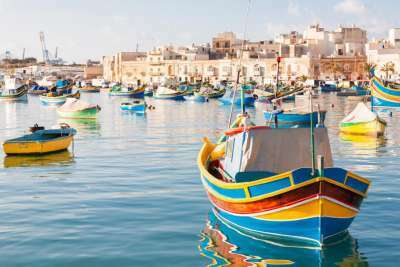 Whilst some of these destinations are exotic and far-flung you don’t need to travel far for a little sunshine, with islands such as Malta and Tenerife less than a five-hour flight away. The Spanish island of Tenerife sits just west of Morocco and as such, is graced with weather that us Brits could only dream of. Walks on the beach are an option here all year round, and there are a breathtaking range of beaches to choose from. From the golden sands at Playa de las Teresitas to the black-sand beach at Playa Jardín, there's something to cater to all tastes. 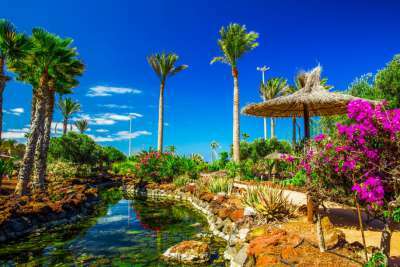 When you're not soaking up the sunshine, why not head to the Loro Parque zoo or for the more adventurous, try your hand at hiking up to the summit of Mount Teide. 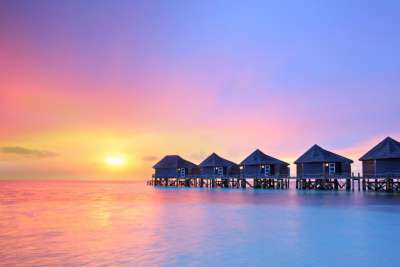 The Maldives are a bucket list favourite, and it doesn't take long to work out why. With flour-soft white sands, clear turquoise waters and year-round warm weather, it's a seriously dreamy destination. Armed just with a snorkel, holidaymakers can hope to encounter dolphins, manta rays, hawksbill turtles and reef sharks in the underwater world here. Relaxation, however, is the ultimate goal here so if you don't feel like heading out to sea, that's okay too. Just flop back and enjoy your surroundings! With a flight time of less than four hours, the sunny shores of Malta are relatively close by. Lodged in between Sicily and north Africa, the weather is mild even in winter months, meaning that whilst you might want a light cover out of the sun, you can leave the duffel coat and woolly socks at home. In the winter, Malta becomes a history buff's dream as the attractions quieten down. This gives visitors more space to explore the sumptuous interiors of the St John's Cathedral with its gold-leaf and marble adornments and pace the floors of the World War Two shelter below the grounds of the Malta at War Museum. Sri Lanka marries natural beauty with man-made wonders in a tropical climate, making it one of our top destinations to watch in 2017. Its palm-fringed, white-sand beaches are quieter than you would imagine, making reading a book in the sunshine that much more relaxing. 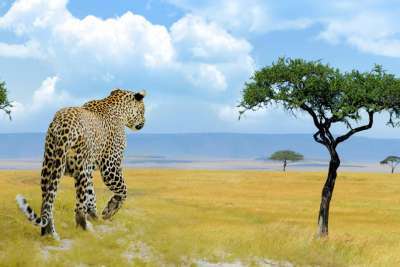 If it's action you're after, however, why not climb to the top of the ancient rock fortress of Sigiriya or head to the Udawalawe National Park where you can hope to get up close and personal with a wild elephant or Sri Lankan leopard. 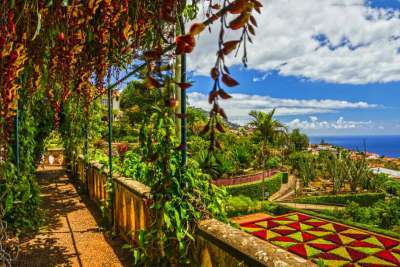 As one of the Canary Islands, Gran Canaria enjoys almost perennial sunshine across a rugged terrain. A trip here in the winter allows you to explore parts of the island which are too busy or require too much energy in the scorching summers. You can spend a day pottering around the capital Las Palmas, enjoying a spot of shopping in Triana or gazing up in awe at the historical architecture in the old town, Vegueta. The island is also famous for its golf courses, where the mild weather allows a game or two to be enjoyed, even in January. Cape Verde is a cluster of 10 islands, floating peacefully in the Atlantic Ocean. 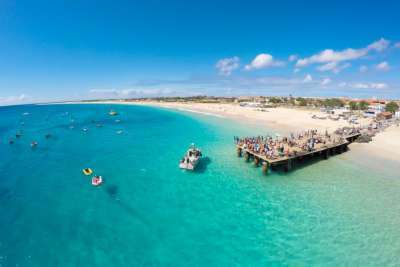 The two most popular holiday islands are Sal and Boa Vista, which are a favourite amongst savvy all inclusive lovers seeking year-round sunshine. These volcanic islands are characterised by sweeping, golden beaches which slope in to clear blue seas. Temperatures in January sit around the mid 20°Cs meaning that you'll have plenty of opportunity to relax on a beach or by a pool. Throughout the winter, the conditions are great for windsurfing, meaning that adrenaline junkies flock here from November through until June to grab a slice of the action. The volcanic island of Fuerteventura has rust-coloured peaks which rise in to the air from an otherwise desert-like landscape. Trekking here is popular in winter months when the weather is cooler but the skies still sunny, and popular trips take in the sights of the Gairia Volcano and the Cardon Mountain. When you're not getting your sweat on on a mountainside, there are a plethora of beaches to choose from. Sotavento Beach, in the south, is one of our favourites with 17 uninterrupted miles of golden sands! 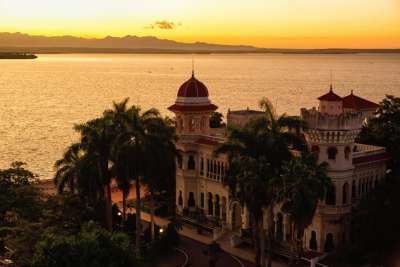 As a Caribbean island, Cuba is graced with white sandy beaches and verdant green scenery. It's easy to spend a week or two here just soaking in the natural surroundings, perhaps taking a guided tour in search of tiny frogs in the Parque Nacional Alejandro Humboldt. However, this is a country where you'd be missing out if you didn't head to the cities too. Havana, the capital, is famed for its Spanish architecture and vintage cars but it is also home to a strong foodie scene and vibrant nightlife that you won't want to miss out on. Cyprus is home to gorgeous beaches with tranquil seas but the landscape of the interior is just as tempting. 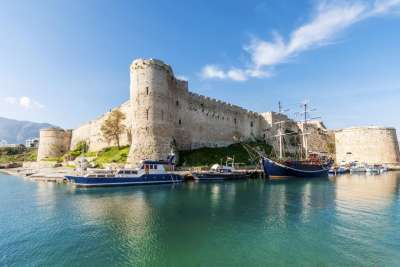 There are sprawling wine regions and serious archaeological sites to explore whilst the weather is a little less scorching. The Troodos Mountains in the centre of the island are home to a number of Byzantine churches whose intricately painted interiors have earned them a spot as a World Heritage Site. Elsewhere, you can combine a relaxed coastal city break with a trip to the Tombs of the Kings in Paphos. The Portuguese archipelago of Madeira is known for its lush green vegetation, and mild weather all year round. It's renowned for its whale and dolphin watching opportunities making it a popular holiday destination with nature enthusiasts. In the winter you can hope to see short-finned pilot whales, common bottlenose dolphins and common short-beaked dolphins. If you don't have strong sea-legs, there are plenty of activities on land too. Hiking is a popular pasttime here and a climb to the top of Pico do Arieiro gives gorgeous views out over the island.